Challenge – Push yourself, accomplish your goals, and see your strengths develop. Choice – Define yourself. Decide who you want to be. Your goals are set by you, not by anyone else. Connect – Get by with a little help from your friends. Reach out to others to offer support. A couple of weeks ago I ordered one of their shirts, their orange tank to be exact, and after only one week it arrived (from USA to Australia). I was so excited when it came, I ripped open the bag and tried it on straight away! The colour was amazing, and it fit beautifully! It’s made out from 57% cotton, 38% polyester, and 5% spandex. It have the perfect combination of stretch and structure which makes it so comfortable to wear! 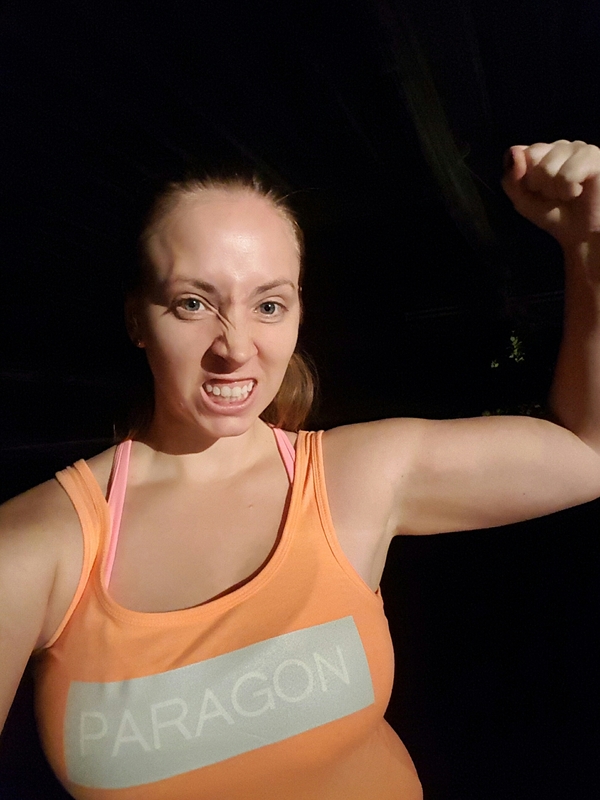 Last night I finally got to wear it for an actual workout, and I was so impressed with it. The first thing that happened was my Personal Trainer told me she loved it *instant ego boost*! No doubt, a workout session with a PT left me nice and sweaty, but my shirt absorbed it like a pro, there was no residue left on any of the machines I used. And, more importantly for me, I didn’t feel sticky and hot, like I was drowning in a wet shirt, I felt fresh (on the outside, the inside was dying) the entire time. In fact, I love this shirt so much, and the quality of the material, that I’ve just ordered two more! Another tank in a different style, and a racerback! Can’t wait to try them out! If you want to check them out or get something for yourself, click here!